It is fair to say that this has been a challenging year for the London property market. In the latter half of 2017, there was plenty of media focus and speculation about falling London property prices and how the golden age of the English capital’s property market was over. There are many factors that influence the London property market, with a lack of affordable housing being a huge factor; but Brexit is definitely an issue to bear in mind and foreign buyers are benefit. Of course, there are two sides to Brexit. While many UK buyers are holding off to find out more about what the future lies in store, the falling of the £ has convinced many foreign buyers and investors to flock to the UK market. The property services company CBRE say that Asian investors are heavily investing in the commercial market of London. 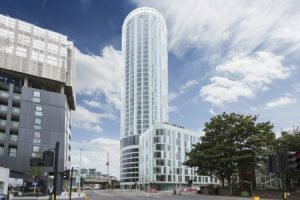 Close to £5 billion has been invested in London business property between July and September of this year and CBRE state that 66% of this investment has come from Asian buyers. The same organisation says that over 90% of all the commercial property transactions in the city over this time period has come from investors outside of the UK. That indicates that the London commercial property market is being propped up by foreign investors but there is enough evidence to suggest that the London property market is also benefitting from overseas money flooding into the country. Given the fall of sterling this cannot be a surprise but the property situation in China has also helped to shape the current situation in the United Kingdom, leading to an increase in foreign buyers. As a specialist from CY Infotech, a company based in Beijing, stated with British currency being at a 30 year low and the Chinese property marketing being at a 25 year high, it makes sense for Chinese investors to buy property in London. This has been backed up by findings from Juwai.com, which is an online property portal, which states that they dealt with a record number of inquiries from Chinese property buyers in September of 2017, with a strong interest to UK property. It is not just Chinese buyers who are looking to invest in Britain though as information from the London Central Portfolio suggests that buyers from India make up 22% of the sales today. This compares with this area of the market taking up just 5% of the market two years ago. However, a relaxation in the rules regarding how much capital could be removed from India has led to a greater focus on the UK property market from this demographic. Like China, the opportunities to invest in India are becoming more challenging and it is only natural that many people would look to the London property market. There is always something of interest happening in the London property market and if you would like to stay in touch with the latest news and information, make sure you stay in touch with Regent Property.